Rogue River, OR (December 2013) – With new products and technology being showcased each year in the flooring and concrete industry, Wagner Meters’ webinar on concrete moisture testing continues to provide solid science to the world of concrete moisture testing. Understanding the history of concrete moisture testing provides much insight into current practices, and Wagner Meters’ free webinar provides a complete discussion of the origins, science and practices of concrete moisture testing. It covers challenges presented by certain test methods as well as an overview of the science behind relative humidity, or in-situ testing for flooring and concrete professionals. “Concrete moisture testing is as critical today as it has ever been,” says Ed Wagner, President of Wagner Meters. “Understanding that not all test methods are created equal can prevent the challenges and costs of moisture-related flooring problems.” With billions of dollars at stake every year for flooring installers and contractors alike, understanding accurate RH testing for concrete slabs is crucial. 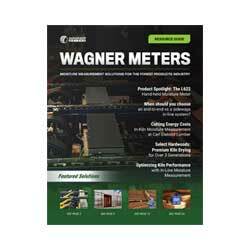 The Wagner Meters educational webinar is free and is well worth the time to watch for all industry professionals. Register for the next available webinar. If you are interested in receiving a certificate of completion for the webinar, click here. Look at the complete line of Wagner Meters’ award-winning Rapid RH® products.